Tuesday – Sunday: 11.00 – 18.00h. Every Friday TENT is opened free of charge from 18.00 until 21.00h. TENT is located on the ground floor of Witte de Withstraat 50, 3012 BR Rotterdam, Phone +31(0)10 413 5498, Fax +31(0)10 413 5521. By public transport from Rotterdam Central Station, take tram 20 direction Lombardijen or tram 7 direction Willemsplein/Nesserdijk, exit at Museummpark. It takes you 3 minutes by foot to get to TENT. Or take metro D (direction de Akkers) of metro E (direction Slinge) and exit at Beurs. It will take you 5 minutes by foot to get to TENT. By foot, from the central (train) station to TENT is a fifteen minute walk. Take exit Centrum, go straight ahead over the Westersingel, turn left at the Witte de Withstraat. By car, follow the signs Centrum, in the centre you can follow the signs for Museum Boijmans van Beuningen. 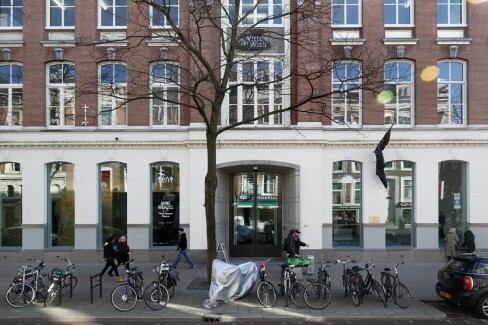 You can park at the Witte de With street or surrounding streets, or in the garage in the Hartmanstraat, a crossing street of the Witte de Withstraat. Please note that you can only pay with debit card or credit card. TENT is accessible for wheelchairs.